A statement from the army chief's office posted on Friday said workers had found the bodies of 21 women, eight children and two men, along with parts of a military transport plane. San Hlan, Myanmar: Search and rescue efforts for a plane that crashed off Myanmar's southern coast entered a third day on Friday, as hopes faded of finding survivors after 31 bodies were pulled from the water. Most of the dead retrieved from the Andaman Sea were women and children after a fraught search by navy ships, planes, helicopters and fishing boats hampered by heavy rains. The Chinese-made Shaanxi Y8 military aircraft, which was carrying 122 people, disappeared on Wednesday afternoon around 30 minutes after take off from the southern city of Myeik on its way to the commercial hub of Yangon. More than half of the passengers were from military families, including 15 children, according to the army. The remainder were soldiers and flight crew. 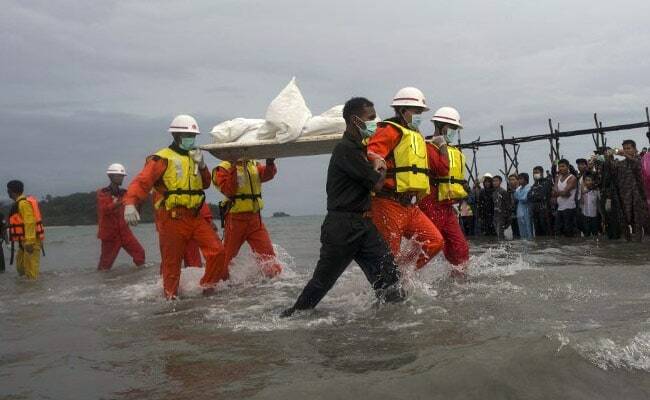 On Thursday recovery workers carried bodies on stretchers back to shore in a grim procession met by solemn lines of locals and relatives waiting under heavy skies on the beach. "Our three fishing boats carried (them) from the navy ships. I felt sorry when I saw the bags, I have a family as well," said fisherman Min Oo. The bodies, covered in white plastic sheets, were taken to a military hospital in nearby Dawei town. Relief work was expected to restart on Friday despite more rains lashing the coast. "We will continue searching today as well, though the weather is bad. Some fishing boats are even out to help the search," police major Aung Win told AFP at the beach. It is monsoon season in Myanmar, but there were no reports of major storms along the plane's flight route at the time of the crash. 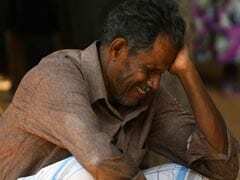 The military said it was flying at over 18,000 feet (5,486 metres) when it lost contact with air traffic control at 1:35 pm (07:05 GMT) on Wednesday. Gerry Soejatman, an independent aviation expert based in Jakarta, said initial information indicated something went wrong "not long after or just before reaching cruising altitude". The military has described the captain as a "seasoned" pilot with more than 3,000 hours flying experience. Myanmar's former junta bought several Y8s -- four-engine turbo prop jets used for medium range flights -- during their 50 years of isolated rule, when they were squeezed by Western sanctions. The plane's maker, China National Aero-Technology Import & Export Corporation, has pledged to assist with investigations into the crash. Several pieces of debris that appeared to be from the wreckage, including tyres, life jackets and some luggage, have also been salvaged.